It’s been a good week for George Benson. A two disc “Ultimate Collection” is new in the shops. His unique blend of smooth jazz and soul is deemed a “perfect gift for Mother’s Day”, which has paid off as it has risen 17 places in the UK chart to number 37 to become George’s 14th UK Top 40 album. Of the 14 an astounding 8 have been retrospective compilations, suggesting there is always a demand for the Benson back catalogue. 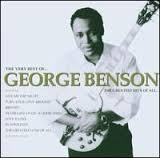 If you have no George Benson in your collection the latest one would be as ideal a place to start as any but if you are looking for a single disc introduction then this 2003 release would be pretty hard to beat and just creeps into my Top 40 Essential Albums. I first encountered George Benson back in 1975 when his funky disco track “Supership” (released on the CTI label) became a surprise hit scraping into the UK Top 30. It was credited to George “Bad” Benson, an inappropriate epithet for gentleman George, but was the title of a CTI album release, which did not feature “Supership”. I really liked this track but it does seem to have vanished without trace. It doesn’t appear on the CTI re-releases which are currently available nor or any of his compilations and I haven’t heard it for years. Up to this point George was a highly-regarded Jazz guitarist with a string of largely instrumental albums under his belt. Greater commercial success beckoned when he moved to the Warner Bros label and scored a Top 10 US single in the summer of 76 with a track featuring his vocals. His version of Leon Russell’s “This Masquerade” introduced a voice similar to Stevie Wonder and Donny Hathaway totally in-synch with his guitar and became the break-out track of George’s “Breezin” album which soared from nowhere to become his only US number 1 album. The instrumental title track of that album has certainly stood the test of time as it is George’s most streamed track on Spotify, a lovely, melodic slab of disco jazz-funk. George’s next album “In Flight” featured his second UK Top 30 single when his version of “Nature Boy” reached number 26. This old song , previously associated with Nat King Cole, opens with a sweeping Cole-esque string introduction before a chunky rhythm kicks in and George turns in a sterling vocal performance of the complex song before letting rip with some great instrumental sections and a sensational ending with Benson singing alongside his guitar playing, which became something of a Benson trademark. This was actually the first 12 inch single I bought (well it was a tie- I bought this and “Disco Inferno” by The Trammps at the same time) and it sounded excellent in this format. It still sounds good today. The Nat King Cole connection is one which remains with Benson to this day. A tribute to the velvet-voiced singer was certainly a part of Benson’s live show when I saw him in the mid 80’s and his highly regarded 2014 album “Inspiration” comprised of Nat King Cole covers (perhaps a little too closely for me to make me want to part with my cash when I have the originals). In 1977 George scored his first hit on both UK and US charts with a track from the Muhammed Ali bio-pic “The Greatest”. This reached number 24 in the US and 26 in the UK. There is no doubt in my mind, however, that George’s version of the Michael Masser/Linda Creed song “The Greatest Love Of All”, good as it is was left largely redundant by Whitney’s blistering version nine years later. A couple of cover versions (of the Drifters “On Broadway” and LTD’s “Love Ballad”) kept Benson on the single charts until things decidedly went up a notch in 1980 when George joined forces with Quincy Jones and brought out his best studio album “Give Me The Night”. This ranks up with Michael Jackson’s “Off The Wall” as Quincy’s best production. There was magic in the recording of this album and it subtly adjusted Benson’s sound from the balladeer he was in danger of becoming to being totally cool and on-trend. The guitar work was given an almost bubbling sound, topped off with ethereal backing vocals best heard on the two hit singles, the title track and the superb “Love X Love”. The jazz elements were still there, especially in the instrumental tracks and his beautiful collaboration with Patti Austin “Moody’s Mood” (later covered by Amy Winehouse on her “Frank” album) but in a clutch of excellent commercial songs there’s a great pop sensibility which brought huge sales and introduced jazz music to a whole generation of listeners. A Top 3 album on both sides of the Atlantic, this album was everywhere in the summer of 1980 and for me so clearly brings back those memories of the summer between leaving school and starting college. If you are looking for one George Benson studio album this is the one I would recommend. It doesn’t make it onto my 100 Essential album list because the cream of the tracks are included on this essential compilation, (well maybe “Love Dance” would have been a nice inclusion) and you get a lot more on “The Very Best Of….” besides. For a time maybe the increasing shift to a more commercial sound distanced the jazz fans as during the 80’s Benson rivalled Luther Vandross, Alexander O’Neal and Freddie Jackson as the soul balladeer de-jour with tracks such as “Feel Like Making Love”, and “Inside Your Eyes” and the sugary “Nothing’s Gonna Change My Love for You” recorded three years before the vastly inferior UK chart-topping Glenn Medeiros version. The dancers were kept satisfied by solid tracks such as “Turn Your Love Around”, “Never Give Up On A Good Thing” and “Shiver”. There were a couple of good enough duets with Roberta Flack and Aretha Franklin. All of these tracks are included on this CD. He had become the crossover Soul singer who played a nifty bit of guitar. By the time of his 1986 album “While The City Sleeps” the vocalist had almost totally eclipsed the instrumentalist. From the 90’s onward Benson has increasingly returned to those jazz roots and produced solid sellers and critically acclaimed albums which have not set the Pop charts alight but he has that superb back catalogue to do that for him. At time of writing this CD can be purchased from Amazon.co.uk for £9.06 new, from £3.37. American listeners can buy new for $12.99, used for $4.51. George Benson compilations featuring the tracks reviewed can also be downloaded and streamed on Spotify. 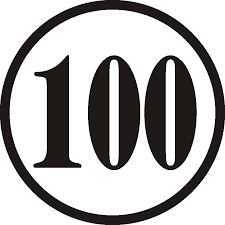 This entry was posted in 100 Essential, Music and tagged CDs, George Benson. Bookmark the permalink.